At Clean Air Florida, our dependable, vigilant, and professionally trained technicians use the following procedures: Thoroughly inspect your home’s air duct system. 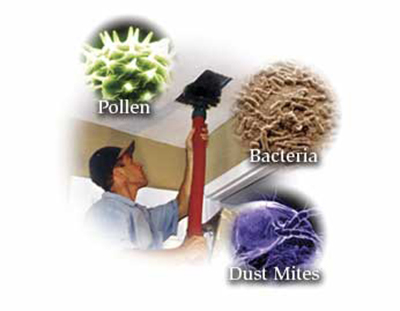 Upon inspection, you will be informed of the specific duct cleaning services your home needs as well as the cost. Clean all registers, grilles, and the entire air duct system using a powerful vacuum along with specialized tools. Areas will be zoned off as needed to ensure that the entire system is cleaned properly. All dirt and debris is removed to our containment system. Will put the air duct system back together and clean up any remaining debris in the work area. 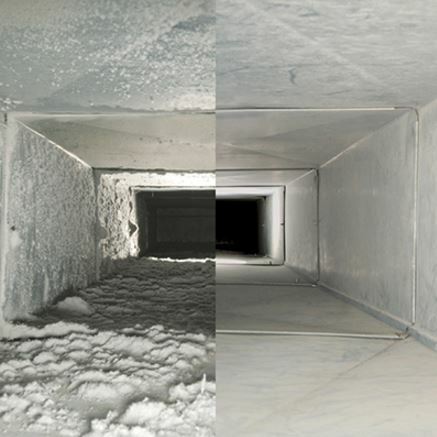 If you are looking to have your air ducts cleaned, give Clean Air Florida a call. We look forward to serving you, satisfaction guaranteed! Powerful duct cleaning equipment for all duct types. Improves HVAC system efficiency and may reduce energy costs. Remove years of accumulated dirt, debris and allergens.